Any type of a hard inquiry on your credit affects your credit scores. A hard credit inquiry is referred to anyone who is seeking new credit like a loan, credit card or mortgage. A soft inquiry does not impact your credit score because you are not applying for new credit or authorizing a lending institution to pull your credit. When you order a credit report through Equifax or Experian, you will not be penalized credit inquiry. If you are shopping for a home loan, I highly recommend going to the credit bureaus first and ordering your credit through them instead of calling lending institutions and initiating multiple hard credit inquiries. 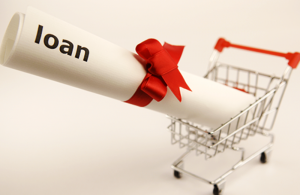 Shopping for a home loan can be toxic for your credit scores. In some cases consumers are unaware while they are inquiring about rates, their credit report is pulled and it negatively impacts their credit scores. Applying or inquiring with multiple lenders in a short period of time will cause even more damaging impact on your credit scores. For example: A client was shopping for a home loan, unfortunately, the mortgage company who he was working with pulled several mortgage inquiries without his knowledge. As a result, his credit scores dropped and he and his wife were unqualified for the lowest interest rate tier for their refinance. This client had over 10 unauthorized mortgage inquiries in a two month time frame which caused a substantial drop in his credit scores and also his wife’s. Luckily, my company strategically removed the unauthorized credit inquiries within 30 days. When you have completed your refinance or purchase on your home, give your credit some time to recuperate from the new credit inquiries that appear on your credit, perhaps begin again if you are in the position to refinancing or purchasing a business. Likewise, if you’re in the position of inquiring on a new car, do not apply all your financing projects at one time, like shopping for a business loan, a car loan and mortgage or even a credit cards all at one time, you will have a substantial negative impact on your credit scores. For more information on how we can help you with your personal credit or business credit in Fort Myers, Bonita Springs, Estero, Naples FL and Marco Island, FL please fill out the online contact form about your concerns or give us a call at 855.477-9007. Read what our valued clients have to say about First Pro Capital and Credit Consulting Professionals on our Testimonials page.